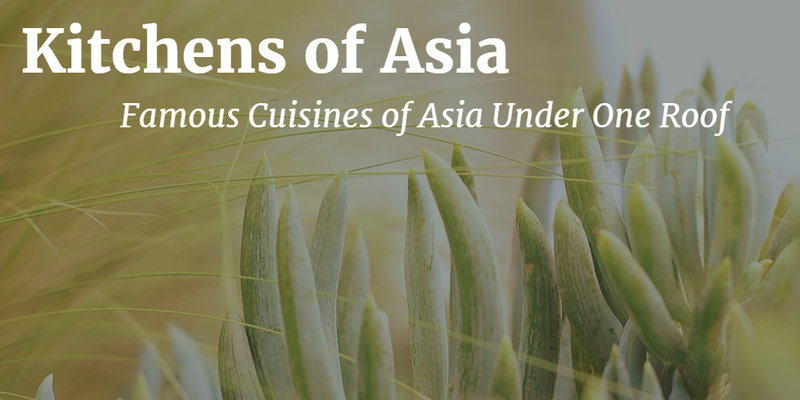 My quest for the best authentic Japanese cuisine ended last week at a fine dining restaurant called Kitchens of Asia. 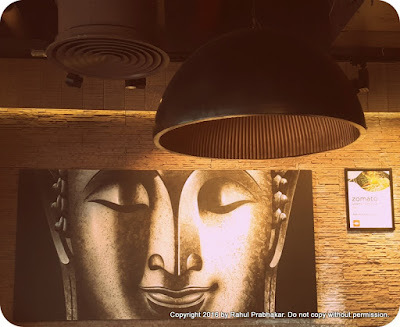 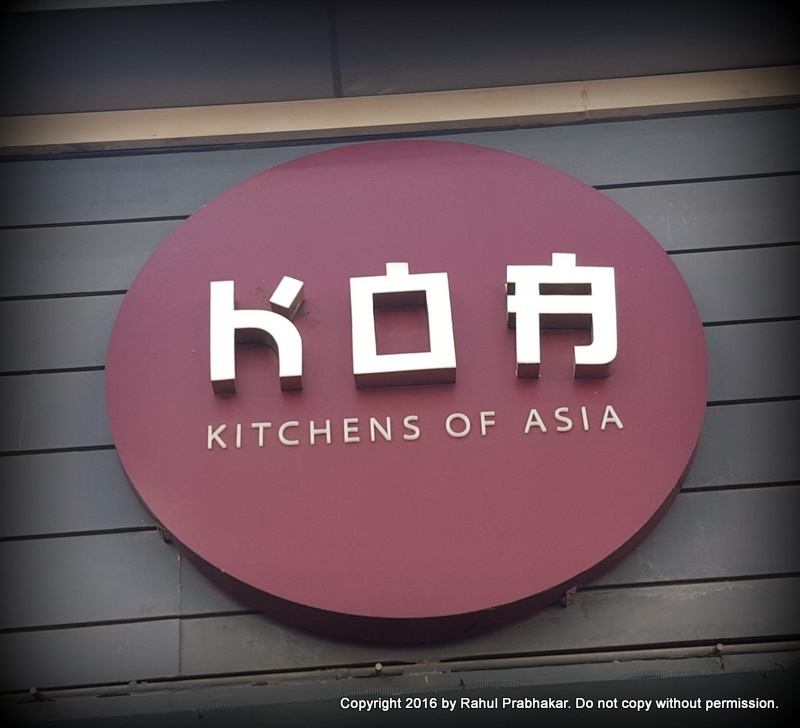 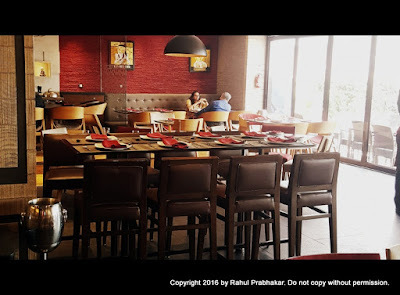 Popularly known as KoA, this Pan-Asian restaurant is located on Level 1 of the DLF CyberHub in Gurgaon. 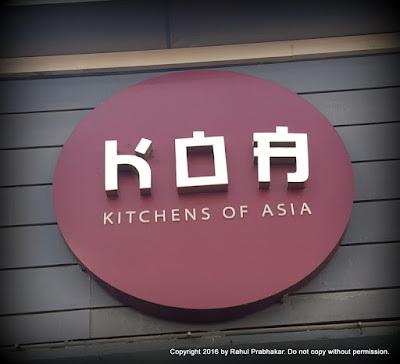 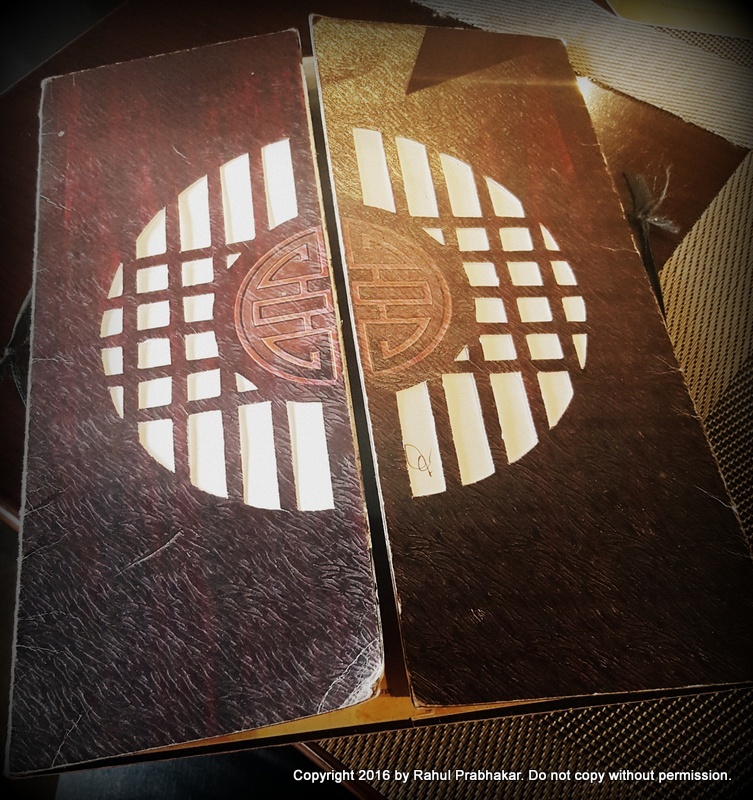 True to its name, KoA exhibits famous cuisines of Asia under one roof - besides Japan, KoA also serves cuisines from China, Thailand, and Korea. 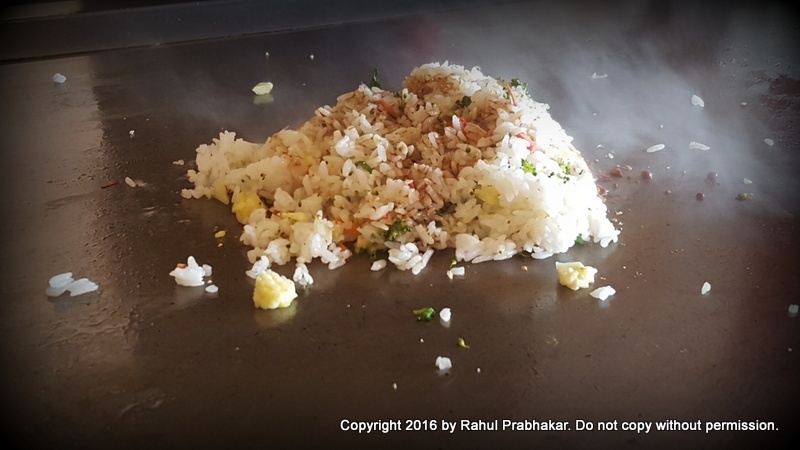 [PS] Indian and Nepalese cuisines are still not part of the KoA menu; you'll anyway not come to KoA looking for Indian or Nepalese food! 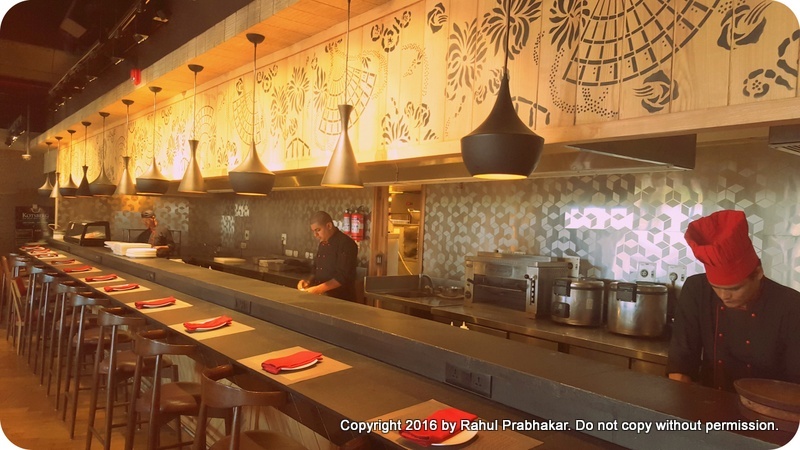 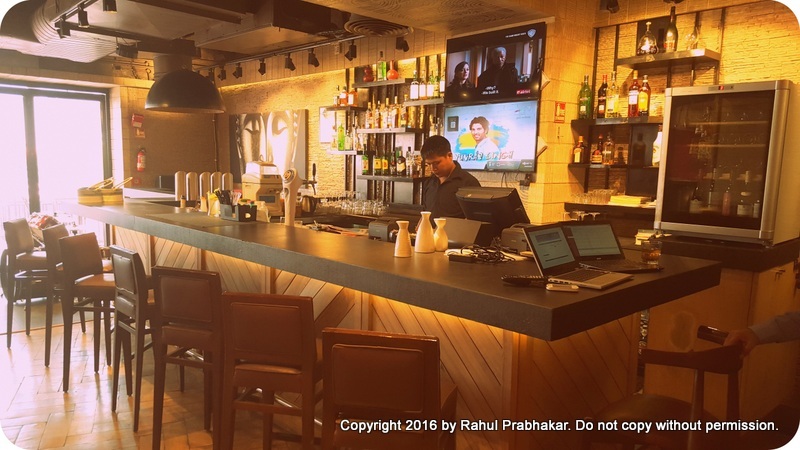 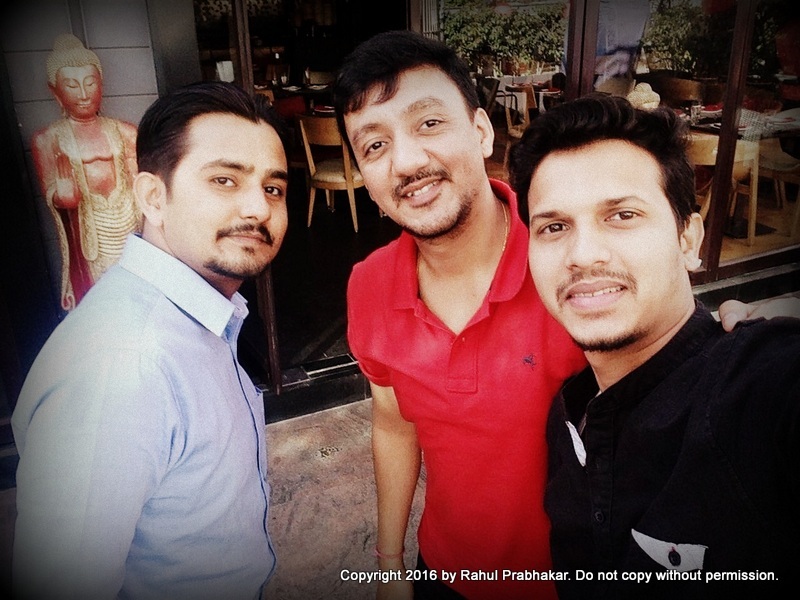 Brainchild of restaurateurs Amit Arora and Ankur Mahajan, KoA was open to public on November 27, 2014. The restaurant is famous for its live kitchen and live dimsums, besides serving the best authentic Japanese food like sushi. If you are a sucker for live grills, KoA has the best of both worlds - the Teppanyaki and Robata grills. Expensive seafood like lobsters can also be ordered from KoA's exhaustive menu. 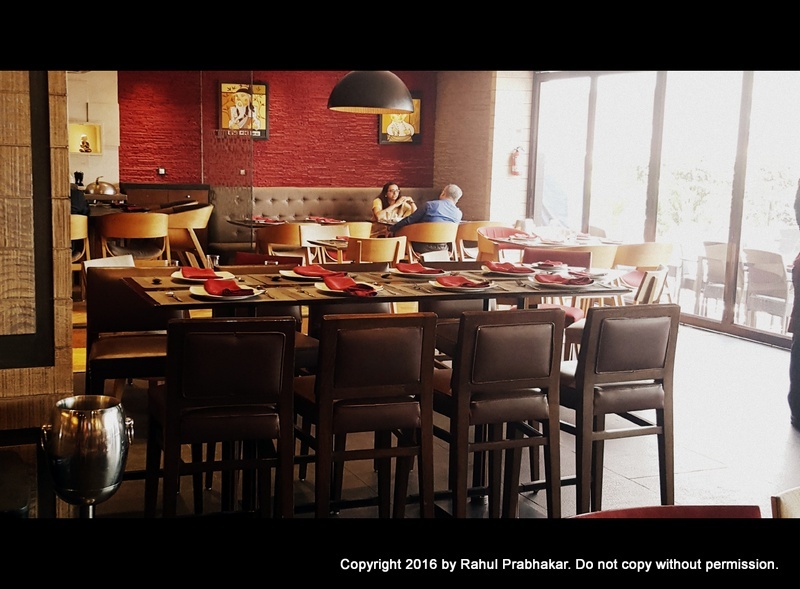 With a cover area of approximately 500 square yard, the restaurant can easily accommodate close to 100 people at any given time. 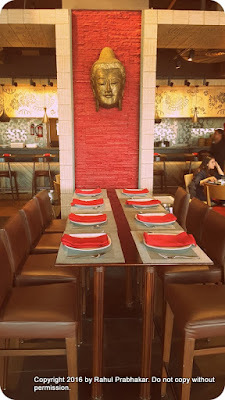 Seating is available both inside and outside (alfresco). The bar is in capable hands of Surinder Malik, who completed a mixology course with a leading Bar Academy in 2009. At present, KoA employs nearly 25 people, including supervisors, servers, housekeeping personnel, etc. 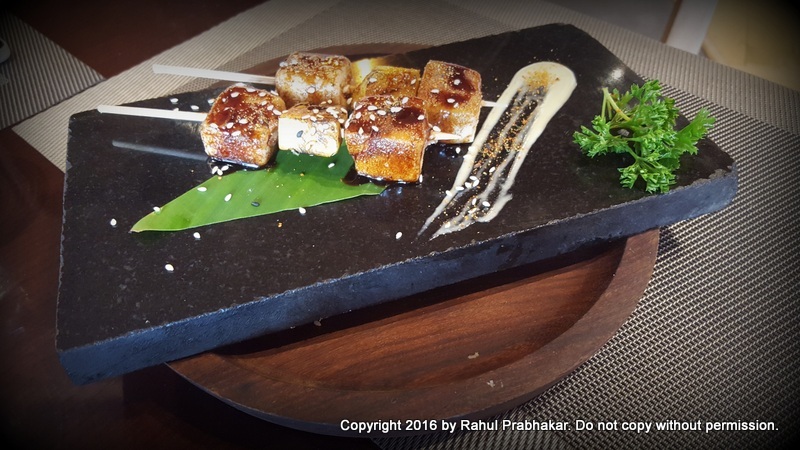 The restaurant has won several accolades for its food and service, the most recent being the Pan Asian Delicacy Award in 2015 from Zomato. No wonder then, it is frequented by corporates, families, and youngsters, alike. You won't find a DJ or his console here but live bands keep performing every now and then, plus you also have calendar events to draw you in. 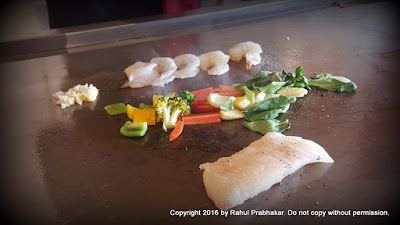 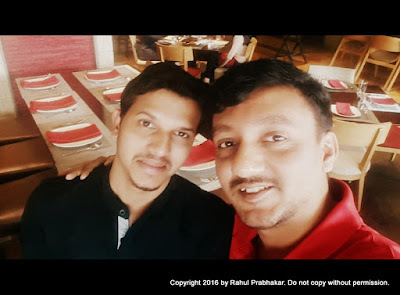 I was escorted to the live Teppanyaki grill by none other than the restaurant manager, Amit Rohilla. 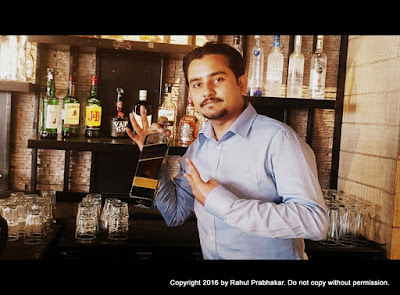 Amit has over six years of experience in the F&B space; he is also a part-time mixologist. As I sat adjacent to the live Teppanyaki grill, waiting for Chef Kunal Bahl to arrive, Amit ordered the best-selling, signature cocktail at KoA, Royal Dynasty, for me. 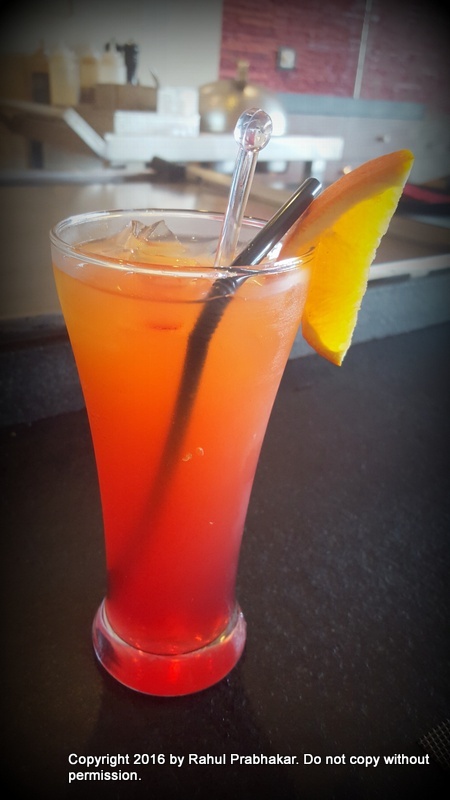 Royal Dynasty is a unique combination of Shirley Temple (a non-alcoholic mixed drink made of orange juice, Sprite, and Grenadine Syrup) poured over vodka based Elderflower and passion fruit syrup. 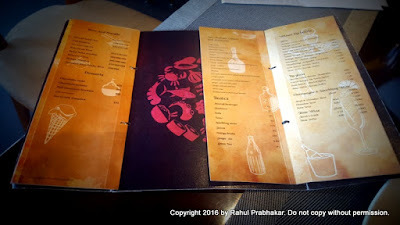 I would rate this cocktail 4 out of 5 for its classic presentation and extraordinarily good taste. 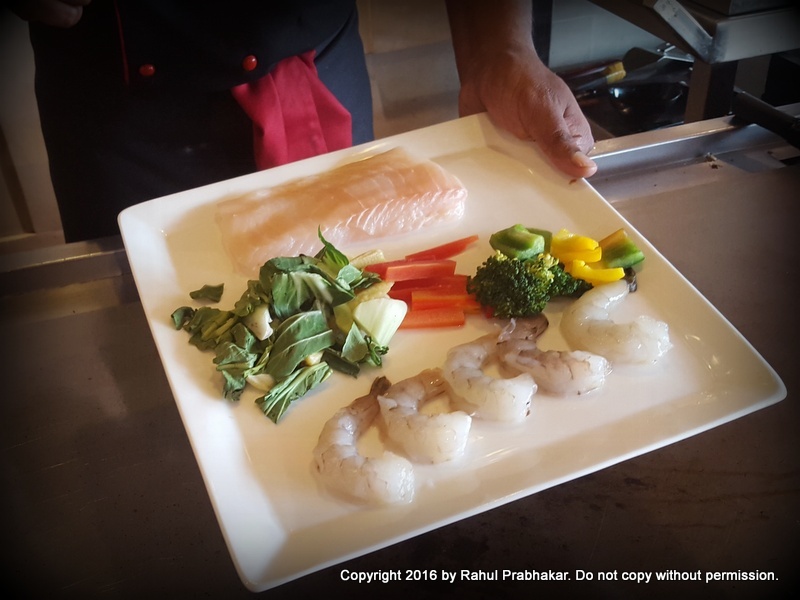 It was just a matter of time before Chef Kunal Bahl joined us to showcase his culinary skills at the live grill. Kunal is currently a chef at Benihana, who has donned the responsibility to train the cooking staff at KoA. 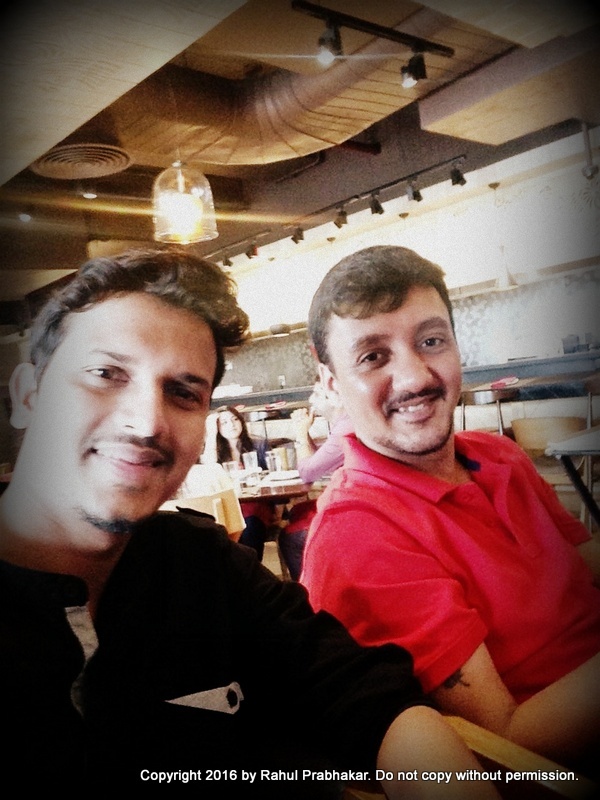 He is with KoA from last three months only. 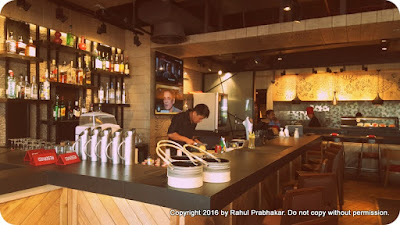 In the past, he worked for reputed brands like Penang! London, Marriott International, and Jom Makan. 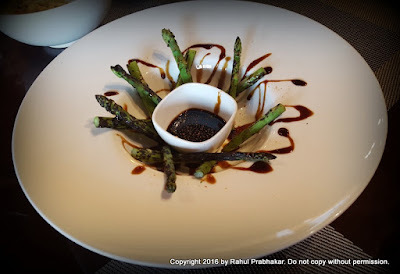 Chef Kunal obtained his postgraduate degree in culinary arts from the Ealing, Hammersmith and West London College in the United Kingdom (2010) and also has a hotel management degree from the Rai University in India (2007). 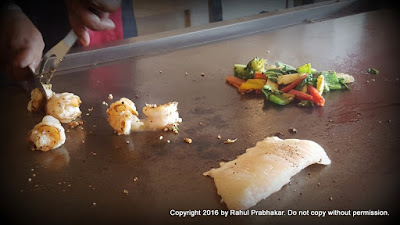 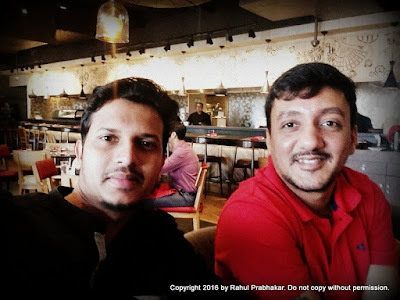 Sitting near the live Teppanyaki grill and seeing Chef Kunal in action was truly inspirational and a unique experience! 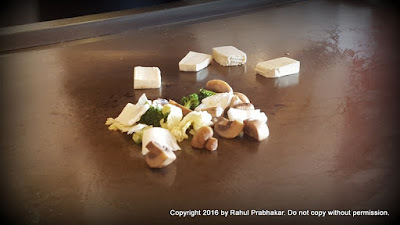 Not only did he cook authentic Japanese dishes right in front of my eyes, he also provided various insights on the Japanese ingredients used in these dishes. 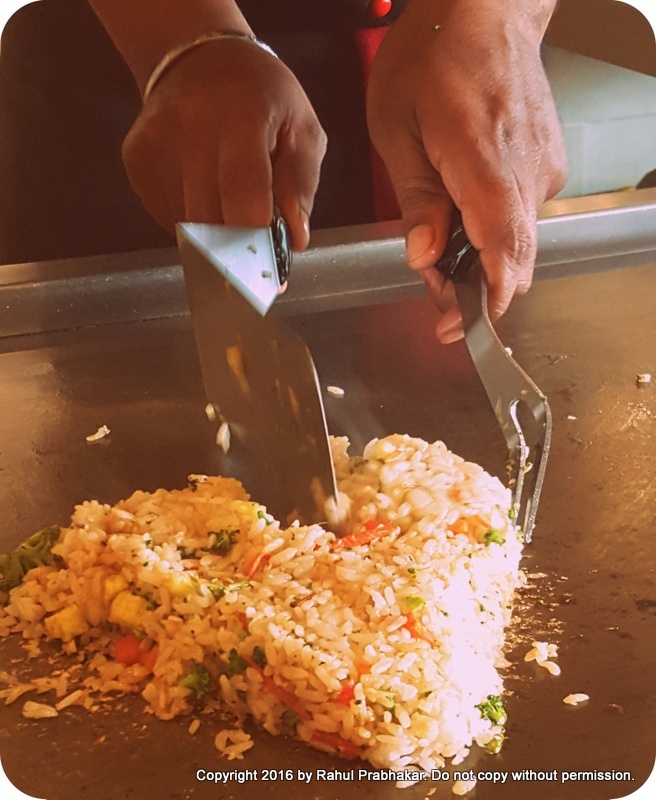 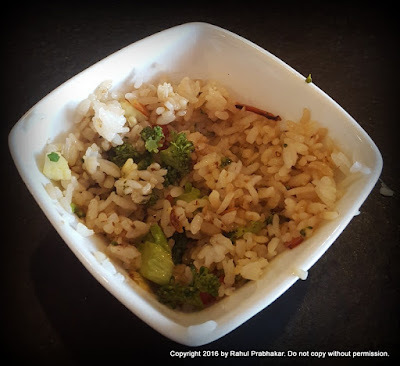 Cooked in soybean oil, the Hibachi Garlic Rice leverages the true flavors of Japanese Kohoko rice mixed with vegetables, butter, garlic, and Japanese soy sauce. 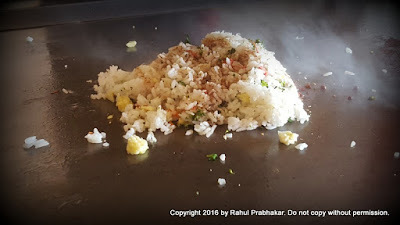 No salt or pepper is added, since soy sauce already contains some salt. 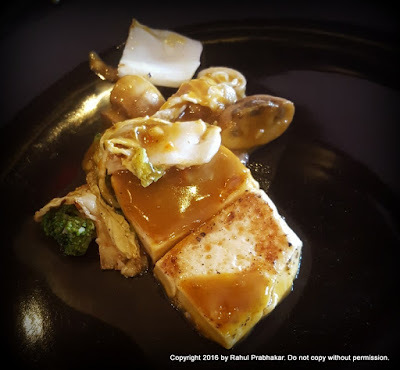 The tender tofu used in this dish is imported from Mumbai. 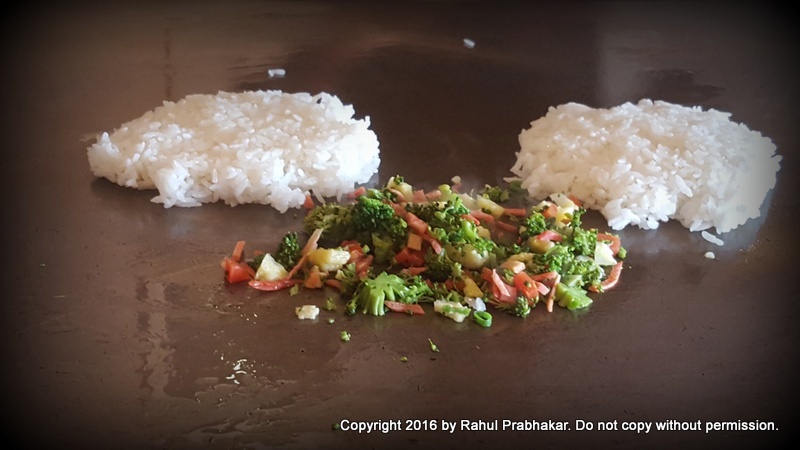 Cooked in mustard oil, this dish is a veggie's delight. 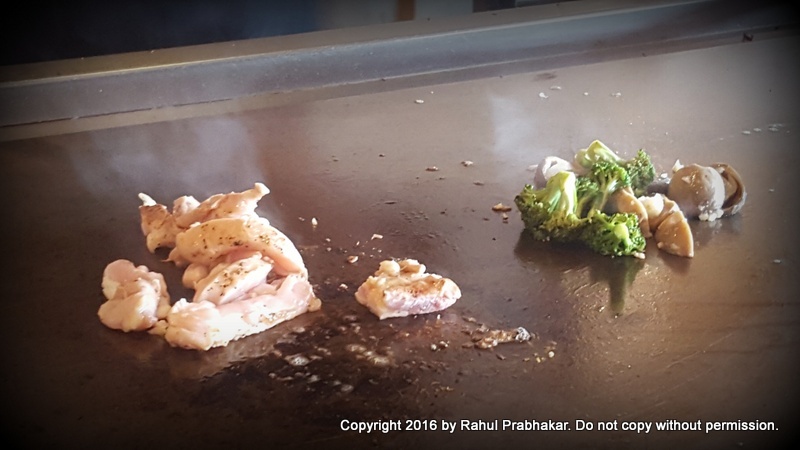 Cooked in oriental Thai fish sauce, the Soul fish is best served with broccoli, baby corn, bok choy, and carrots. 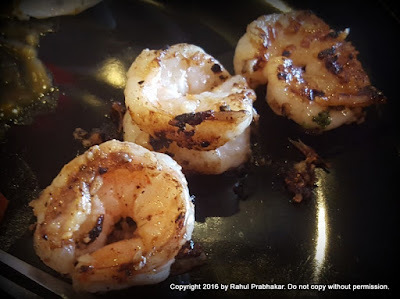 The prawns can either be made crispy or soft, depending on your palate. Cooked in lemon butter garlic sauce, Tiger Prawns taste heavenly when mixed with coconut, lemon grass, basil, and Galangal (Thai ginger). 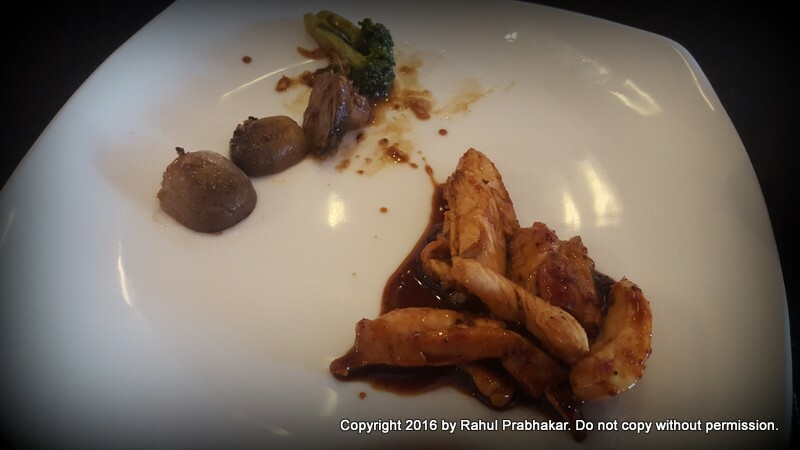 Chicken thighs have plenty of flavors as it is, so cooking in Japanese Teriyaki sauce is perfect icing on the cake. If you're a strict vegan, go for the mushrooms cooked in Tonkatsu sauce along with broccoli; you have a winner at hand either ways. Having visited Thailand at the start of year, I can vouch for this aromatic and creamy Thai Green Curry made of chicken, aromatic herbs and spice powders, and lemon grass. Go, treat yourself to an authentic taste of Central Thai curry, best served with steamed rice. Once the live grill cooking was done with, I requested Amit to introduce me to the Executive Chef at KoA, Xavier Lappacha. 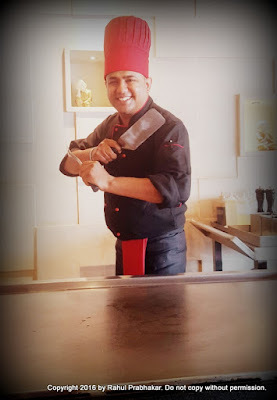 Unfortunately, Xavier was not to be seen around, so I ended up meeting Chef Tshering Lepcha instead. Originally from Darjeeling, Chef Tshering has been working with the restaurant from past three months. 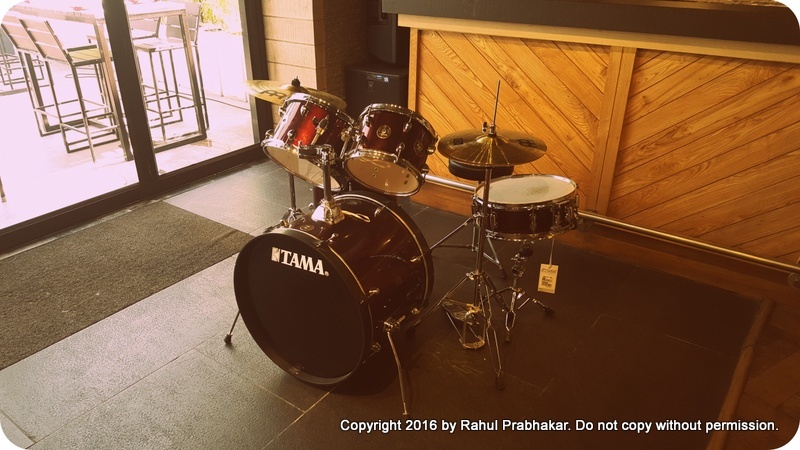 With a name like this, you'd always be second-guessing I guess. 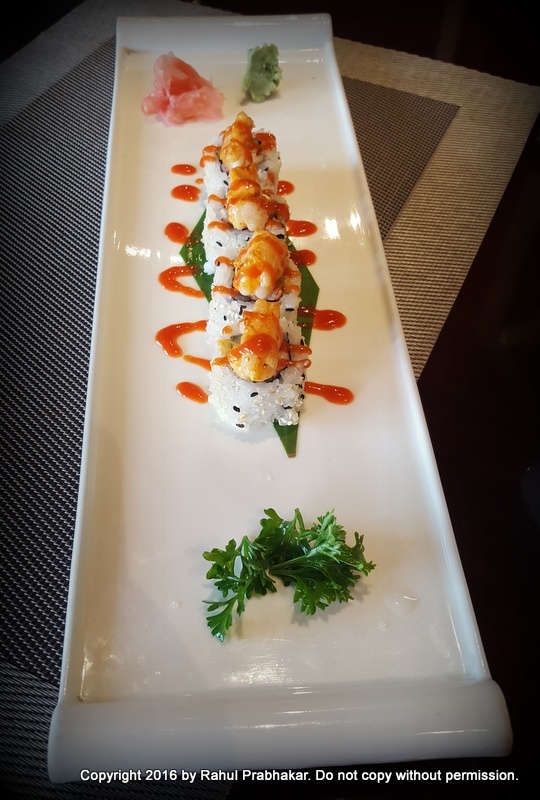 Essentially, the Dragaon Bridal Roll is crabmeat and cucumber rolled with avocado, eel, and tobiko. You can also go for Crunchy Prawn Roll, made of baked prawn, crab meat, sticky rice, sesame seeds, nori, and pickled ginger. Make sure you try these two dishes, straight from the Robata Grill: Crispy Stoned Tofu with pineapple and wasabi and Grilled Asparagus with sweet soy sauce. 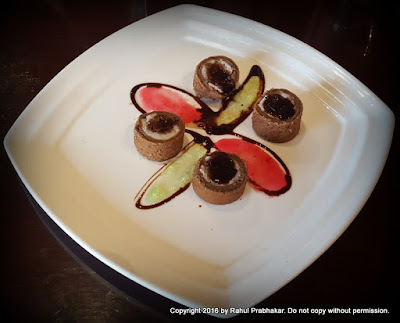 A sushi rice ice-cream coated with chocolate flour, best served with strawberry and kiwi crush dips. 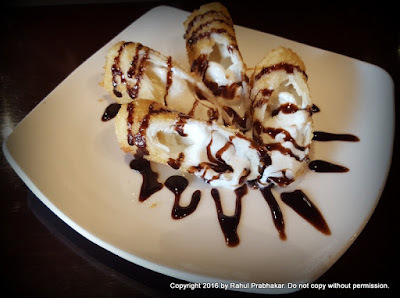 Spring rolls with vanilla ice-cream filling. Finally, KoA offers mouthwatering Asian treats to tantalize your taste buds. 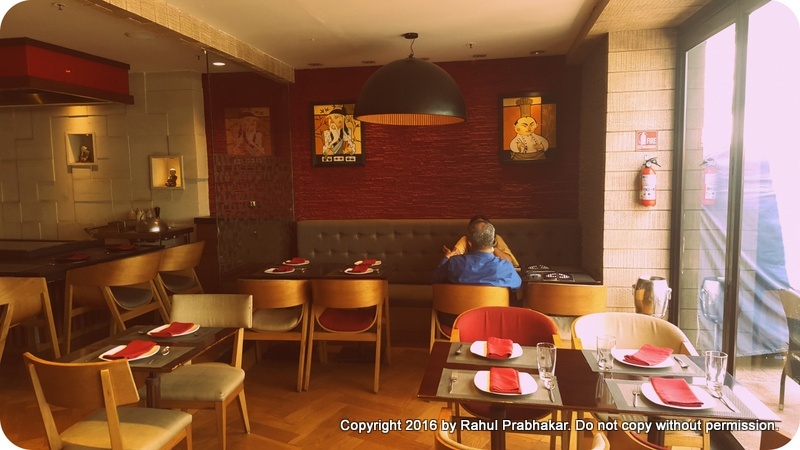 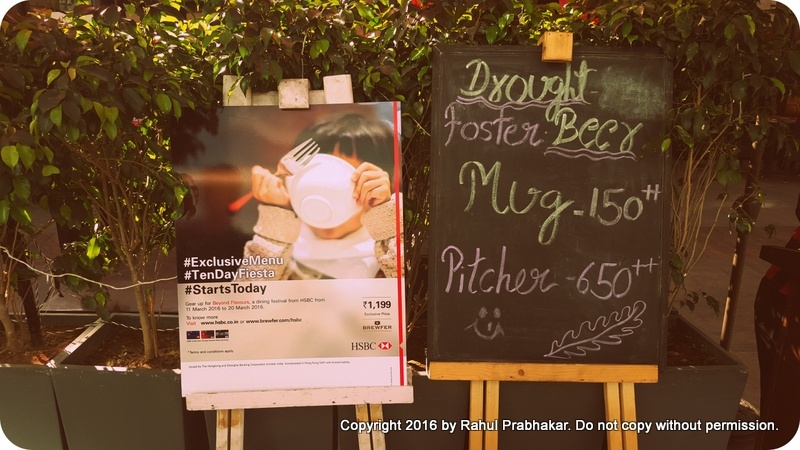 If you are a listed corporate, dine at KoA to avail a flat 10% discount on food. 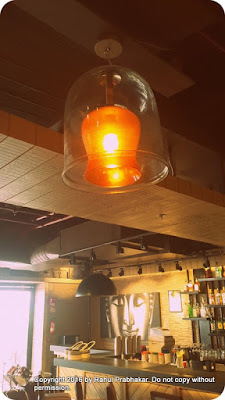 Whichever way, you are bound to walk out of KoA as a happy camper!